How do you change a person’s mind, their views on a subject, or their feelings? Even the change we wish to see in our own life does not come easily, and it requires an openness to new thoughts, ideas and feelings as well as freedom and detachment from our old ways of thinking and acting. Remember those New Year’s resolutions that never see fruition or are soon broken? In the entire spectrum of personal change, the hardest task might be changing one who has been indoctrinated throughout life by circumstances and experience to believe in hatred for others. Therefore, all of you must strive with heart and soul in order that enmity may disappear entirely and that strife and hatred pass away absolutely from the midst of the human world. – Abdu’l-Baha, The Promulgation of Universal Peace, pp. 41-42. As a Baha’i, this quotation from the Baha’i teachings impels me to strive to do what I can to make hatred extinct. That’s why I was riveted the other day by a National Public Radio broadcast of an interview with Zak Ebrahim, the author of The Terrorist’s Son. 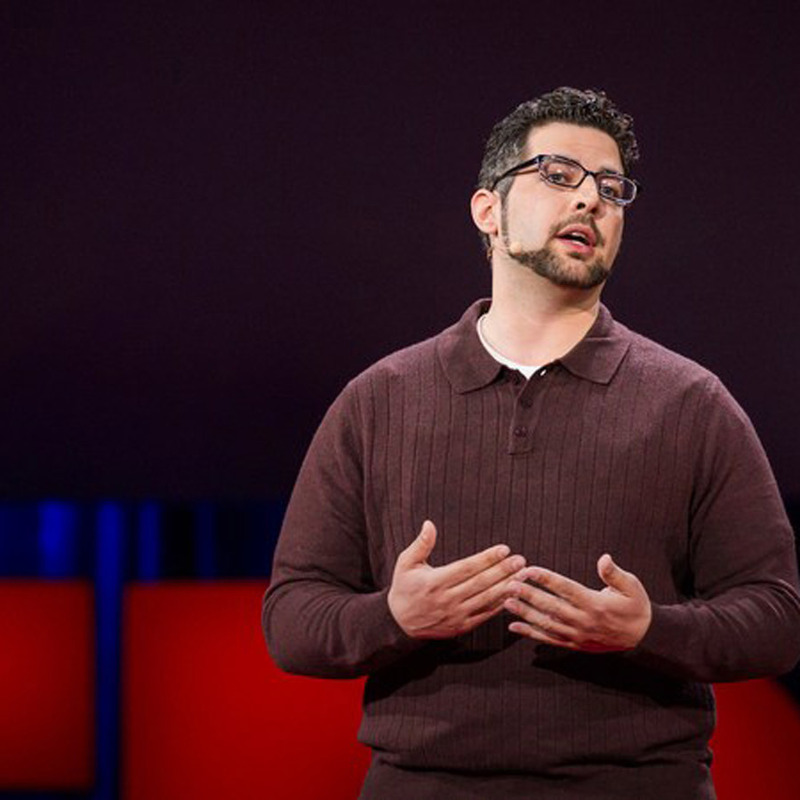 In his memoir, as well as his TED talk, Zak describes a normal childhood in America until age seven, when, one day, he and his mother went to Riker’s Island State Penitentiary in New York to visit his father behind bars. Unbeknownst to Zak, his father had been radicalized by Muslim extremists and believed its tenets completely. His father, El Sayyid Nosair, assassinated Meir Kahane in 1990, the founder of the Jewish Defense League and a militant Orthodox rabbi. Nosair had also been convicted of involvement in the New York City landmark bomb plot involving several buildings. Zak’s father and his friends had earlier encouraged Zak in their beliefs as well, even taking him to a shooting range while young and praising his lucky shooting prowess with the moniker, “Like father, like son.” Zak, headed for the same belief system as his father had, gradually began to realize that Nosair’s terrorist acts sent the family into a downward spiral. His mother and his siblings had to move to protect their safety—and they kept moving, living on the edge of poverty. As Zak grew older, his contact with youth and adults outside his group also grew. At a multi-day school program for students from many schools and walks of life he befriended a boy of his own age. They hit it off and became close quickly. It wasn’t until the end of the sessions that Zak learned the boy was Jewish, a people and a religion he had been taught to hate. As Zak’s exposure to the world expanded, so did his worldview. He realized where the path of hate would lead him. It meant confronting his father’s actions and those like him head-on, then rejecting their entire approach. For most of his life, Zak had lied to people about who his father was. But a few years ago, he decided to go public with his story and offer himself as an example of someone who was raised by a fanatic—yet came to embrace acceptance and nonviolence. Today Zak has become a peace activist who shares his story openly. God has not intended man to imitate blindly his fathers and ancestors. He has endowed him with mind, or the faculty of reasoning, by the exercise of which he is to investigate and discover the truth, and that which he finds real and true he must accept. He must not be an imitator or blind follower of any soul. He must not rely implicitly upon the opinion of any man without investigation; nay, each soul must seek intelligently and independently, arriving at a real conclusion and bound only by that reality. – Abdu’l-Baha, The Promulgation of Universal Peace, p. 291. We all have talents and faculties. We all have the capacity to become rational, spiritual beings. We each have been physically created with a brain, and gifted by that brain with intelligence. Our heart also informs and guides our way. We have a spirit, a soul that motivates and moves us, and that links us to our Creator and His messengers, the prophets and founders of the world’s great Faiths. Every one of those messengers—including the most recent one, Baha’u’llah, the prophet and founder of the Baha’i Faith—has called us to love, kindness and compassion. So like Zak Ebrahim, let’s all independently investigate the truth, turn away from error and hatred and center our lives on love and acceptance. How Do Baha'is Stay Positive Amid Such Worldwide Gloom? What an excellent piece! Thank you so very much for sharing this uplifting story and how it proves the truth of how we can change. Thanks, and thanks to Zak Ibrahim for his example. Many more exist and although hard, humans have the ability to change, one of our greatest assets.